I got no time for better photos, as it's 3.45pm and I still gotta make today's outfit! Woo! I resized it for me, but obviously with the material it didn't work out. Lovely for you my friend? Let me know! I just adore wiggle dresses! Oh! 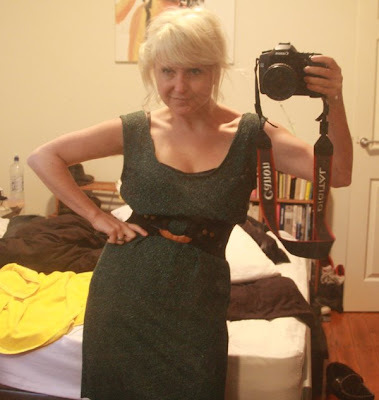 And this dress is 73/100, so getting ahead of myself here!!! Woo! And once again it's totes vintage, fabric, thread, zipper as well! Gonna hem this one now and start with the refashion (white longsleeve top, with floral knit fabric to become a dress. Yays) and have a cuppa tea!